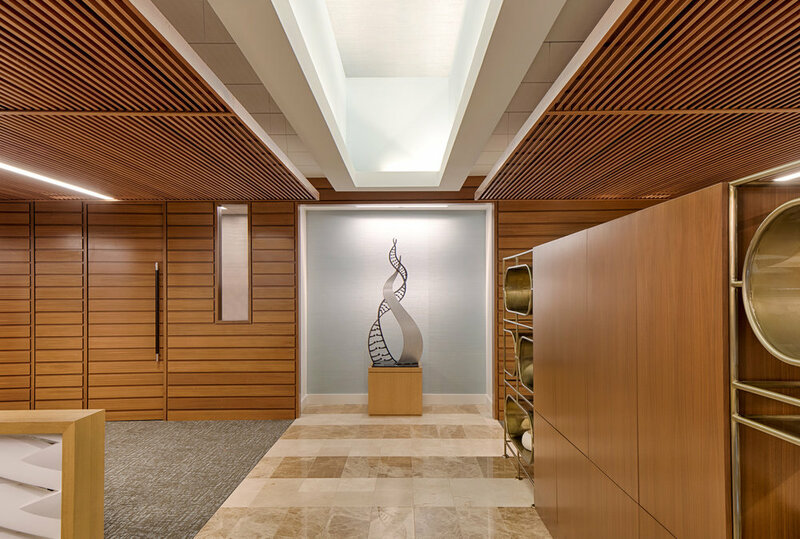 The artwork for this client's executive lounge was carefully selected to complement the interior design. 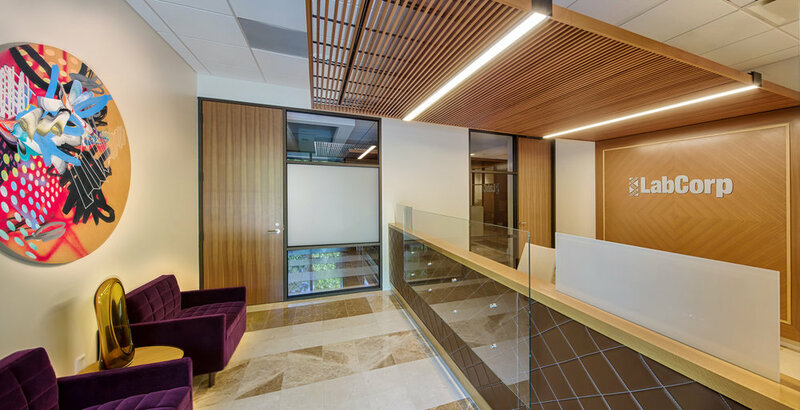 With a harmonious palette of materials that combine rich material textures and handcrafted appeal, the environment offers opportunities for a wide range of activities including private work, formal and informal meetings, rest and refreshment. The design of the space combines both traditional and contemporary styles to create a timeless “transitional” design that is rooted in tradition and embraces a bespoke contemporary attitude. LabCorp specializes in analyzing samples at a microscopic level with cutting edge medical testing services. From an artistic point of view there is incredible beauty to be found in things that are invisible to the naked eye. The art in the space will be drawn from artists who are inspired by looking at organic structures at a close-up or microscopic scale. In addition, photographic enlargements of microscopic structures will be displayed. This combination of both artistic interpretations of microscopic worlds with actual photographs of cells will provide the space with a rich and dynamic visual sensibility.